In celebration of Leisure Painter’s 50th year and our website, PaintersOnline’s 10th anniversary, we held a series of monthly challenges throughout 2017. Each month’s winner received a £50 art materials voucher from GreatArt. We have great pleasure in presenting the 13 winning paintings. Our thanks to everyone who took part and to GreatArt for generously sponsoring the prizes. Welcome to the April issue of Leisure Painter. Aimed at beginners and amateur painters, it is packed with practical advice, step-by-step demonstrations, illustrated techniques and tutorials to help you draw and paint successfully. David Bellamy introduces his sketchbook secrets and launches the first of two new painting competitions: Your sketchbook challenge. For watercolourists, we continue our year-long back-to-basics series – this month the wet-in-wet technique – along with watercolour still lifes, a rainy day crowd scene and tonal painting. 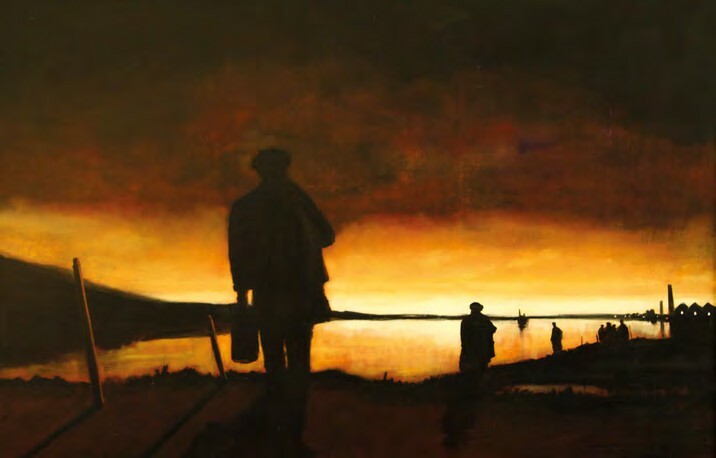 Learn a five-stage acrylic painting process for landscapes, practise line and wash techniques, mix watercolour with pastels, and put down your brushes to try the 'pour' technique for acrylics. 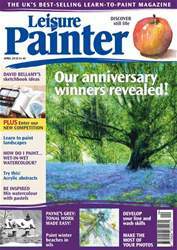 Enjoy another creative month with the UK's best-selling learn-to-paint magazine.